One of the most memorable stories from the book, Mystery of History Vol 2 *NOP , was the one about St. Patrick. I've used a few other history books for homeschooling, but the Mystery of History series is my absolute favorite! 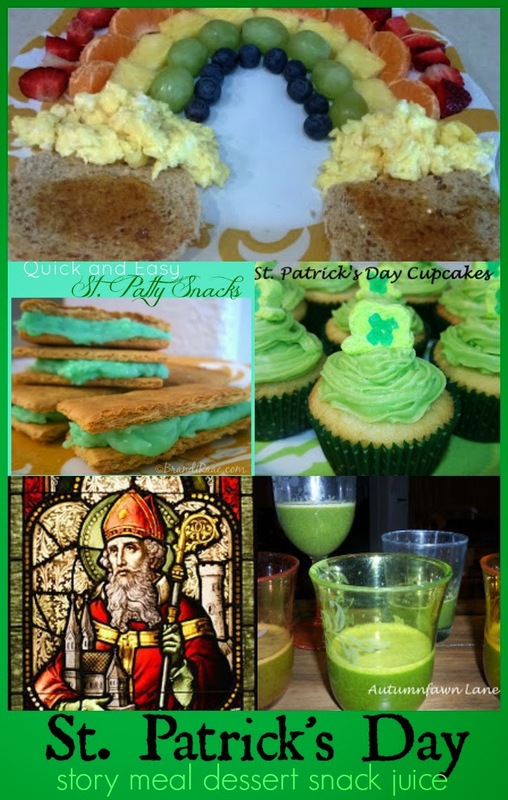 If you've never heard the story of this not-so-Irish saint, I've written a brief summary of St. Patrick's life in this post. If you have a juicer, serve some super healthy and amazingly delicious green juice to go with the Rainbows with Pots of Gold. Don't have a lot of time? All you need is green frosting and graham crackers for this quick snack. Top off the day with mini clover cupcakes made with naturally dyed green frosting or any green frosting of your choice.